Will Durant [American historian] – “India was the motherland of our race, and Sanskrit the mother of Europe’s languages: she was the mother of our philosophy; mother, through the Arabs, of much of our mathematics; mother, through the Buddha, of the ideals embodied in Christianity; mother, through the village community, of self-government and democracy. Mother India is in many ways the mother of us all”. Max Mueller [German scholar] – “If I were asked under what sky the human mind has most fully developed some of its choicest gifts, has most deeply pondered on the greatest problems of life, and has found solutions, I should point to India”. A Rough Guide to India – “It is impossible not to be astonished by India. Nowhere on Earth does humanity present itself in such a dizzying, creative burst of cultures and religions, races and tongues. Enriched by successive waves of migration and marauders from distant lands, every one of them left an indelible imprint which was absorbed into the Indian way of life. Every aspect of the country presents itself on a massive, exaggerated scale, worthy in comparison only to the superlative mountains that overshadow it. It is this variety which provides a breathtaking ensemble for experiences that is uniquely Indian. Perhaps the only thing more difficult than to be indifferent to India would be to describe or understand India completely. 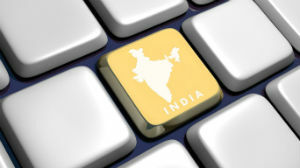 There are perhaps very few nations in the world with the enormous variety that India has to offer. Modern day India represents the largest democracy in the world with a seamless picture of unity in diversity unparalleled”. ‘EmpXtrack’ is an Indian product in the HR space which is unique in its architecture & provides a solution to all types of problems, faced by any organisation across the globe, for the ‘Management of their Human Resources’.